The 1AFH Association is to hold the 2018 reunion in Melbourne on Friday, May 11th to Tuesday, May 15th. On behalf of the President & committee, all members and past members of the Association or Unit are welcome to attend. This reunion will be the 50th anniversary of the Unit’s establishment, in Vung Tau, SVN on April 1st, 1968. Contact the Secretary, Jeff Gilbert, on 03 5772 1828, 0409 240 238 or email je.gilbert@internode.on.net for details and information. Please,join me in congratulating all recipients in this year's 2016 Queen's Birthday Honours List. With a special Conratulations going to a couple of our own people. ETHICAL SOLDIERS: The first of the Jonathan Church Ethical Soldier awards for 2016 was presented to an RAAMC CORPS MEMBER. The RAAMC ASSOCIATION congratulate Pte Daniel Bodsworth. "Pte Bodsworth joined the Army in 2012 and received the award in recognition for frequently displaying clinical and military expertise of the highest orrde, including superb examples of dedication to the patients under his care, especially in situations of high stress and crisis." The RAAMC ASSOCIATION Congratulates LT COL Clark Flint , CAPT Peter Del Fante and CPL John Hickey on the their awards. THREE members of the RAAMC were recognised for achievements in their trade by their Colonel-in- Chief Governor-General Gen Sir Peter Cosgrove at a special cer- emony at Government House on February 11. The Governor-General jointly awarded the Harkness Memorial Medal to Lt-Col Clark Flint and Capt Peter Del Fante, and the C.F. Marks Award to Cpl John Hickey. Cpl Jeremy Holder: Displayed outstanding gallantry and a high level of clinical care. While per- sonally under fire, he triaged and treated casualties. Sgt Damien Silva: His excep- tional competence, level-head- edness and leadership of com- bat first-aiders in the treatment of seriously wounded personnel, directly saved lives. Cpl Bernard Ryan: Despite being seriously injured by an IED and while under enemy fire, acted selflessly and highly professionally. After treating the other injured soldiers he treated his own wounds. Cpl Coen Ward: With complete disregard for his own safety, he calmly moved forward to relieve a less experienced first-aider and rendered life-saving inter- vention. Demonstrated a distinguished level of skill, medical knowledge and selflessness while attend- ing multiple incidents involving seriously wounded or dying personnel, including Australians, Afghan National Army and local nationals. Cpl Garry Francis: His prompt and decisive actions, his direc- tions to others, and his superior care saved lives. Maj Dan Weber: Distinguished performance of duty in warlike operations and in action as the Regimental Medical Officer. of the detonation of a suicide bomber. His expert skill and tire- less dedication saved the lives of at least six Afghans and ensured the quality of life of many others. WO2 Jason Carter: In the immediate aftermath of the blast from an improvised explosive device, Sgt Carter displayed exceptional compassion and immense personal courage while caring for an Afghan casualty. WHAT: To hold a back to Ingleburn reunion during the weekend of 27th – 29th November 2015. WHY: To have those that served in Ingleburn and surrounding areas get back together after the Military area was closed down some twenty years ago. We have members of our association that served in or with medical units and RAP’s. THIS REUNION IS OPEN TO ALL MEMBERS NOT JUST THOSE THAT SERVED INTHE AREA. ** We will require a minium of 80 persons before this event will go ahead. So we therefore ask you the members if you are interested we will require FULL PAYMENT BY 5 Jun 15 current cost for the Dinner Cruise is $140.00 per person for this you will get a 3 hour Cruise, 3 course meal. ACCOMODATION: There is a range of accommodation available in the area just to name a few. West Leagues Club, and Tennis Club. We will require a return by email andFULL PAYMENT NLT 31st Jul 15, if you wish to attend this reunion the more numbers over 80 will bring costs down for the cruise. The RAAMC Association congratulates the following members of the Corps on their awards. Congratulations goes to our own Dr Roderick Graham BAIN OAM, Rod was awarded the OAM for service to the community,particularly veterans and their families. Again Rod on behalf of the Committee and Members of the RAAMC Association(Inc) Congratulations and well done. The Association congratulates all the recipients of awards in the 2015 Australia Day Honours List. NEW BOOK RELEASE by MAJ Michael Tyquin author of Little by Little for details see Pubs & Media. Wanting to buy copy of the Corps history Little by Little. This book tells the stories of Australia’s female military doctors and medical specialists. While the wartime experiences of nurses have become part of Australia’s military history, this book tells the story of another ‘corps’ of women, who became pioneers and trailblazers from the battlefields of the World War I, through to key leadership and command roles in the modern Australian Army. They are Australian women who have overcome exclusion and marginalization to set a new agenda for military medicine, regardless of their gender. The book spans a century of service, from Egypt and the Western Front in World War I until the war in Afghanistan. 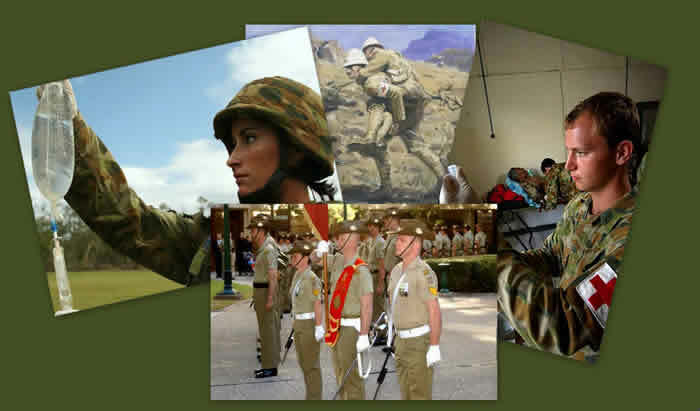 It incorporates more than five years of research as well as original interviews with professional medical women who have recently retired or are currently serving in the Australian Defence Force. The first four chapters tell the stories of doctors, radiologists and medical specialists who are no longer with us. This first part of the book takes readers on a journey from the Federation of Australia, through the battlefields of World War I until the end of the World War II. The experiences of individual women are set in historical context: women’s suffrage, education and equal opportunities provide a setting for stories of courage and endeavour. It includes a series of biographies, profiling women who, typically, funded their own passage to the battlefields of Western Europe, the Balkans and the Middle East, achieving recognition by foreign governments but remaining largely unknown, in Australia. These chapters include the stories of Dr Agnes Bennett and Dr Lilian Cooper, who braved the harshest conditions on the slopes of the Kajmakcalan Mountains in the ‘forgotten’ Serbian campaign of World War I. As Britain’s allies fought German-backed troops from Austria, the women demonstrated ingenuity in maintaining ambulance services and treatment facilities despite a lack of resources and the constant threat of attack. Both women were awarded the Order of St Sava by the Serbian government, but did not achieve similar recognition at home. Such inconsistency becomes a prevailing theme. University of Adelaide, who was awarded a Military Medal for her actions during a German bombing raid, while serving with the Queen Mary’s Army Auxiliary Corps near the Western Front. The work of pioneering women in auxiliary military hospitals (such as the Scottish Women’s Hospitals) and the war-office funded Endell Street Military Hospital in London is also recognised through narratives that reflect the realities they faced throughout their endeavour. During World War II, the book highlights the contribution of Major Mary Thornton, a young radiologist who put her 13-year-old son in boarding school so that she could serve with British forces in northern France and the Middle East. The pioneering work of malaria researcher Major Josephine Mackerras is also reviewed, along with the work of Lady Winifred MacKenzie, who was the first female doctor to be appointed to the Royal Australian Army Medical Corps. The second half of the book begins with the outbreak of the Vietnam War in 1962. In the chapters to follow, living women in Australian military medicine contribute their memories, perspectives and reflections on their own service as well as others’, including peace-keeping operations near and far as well as contemporary conflicts in Iraq and Afghanistan. This part of the book includes research derived from archival sources and original interviews, obtained exclusively for this book. In many instances, these interviews offer an entirely new perspective on Australia’s more recent military operations. Chapter five includes the story of Dianne Fairhead (née Skewes), a physiotherapist deployed to Vietnam in 1969 who helped to rehabilitate Australian soldiers injured during the war. Chapter six revisits Australia’s contributions to humanitarian peace-keeping operations in Africa, the Middle East and South East Asia, including Captain Carol Vaughan-Evans MG, who was awarded a Medal for Gallantry for her efforts during the massacre of Kibeho in Rwanda. Chapter seven includes the story of Captain Tam Tran CSM, a Vietnamese refugee who was awarded a Conspicuous Service Medal for her medical services in refugee camps as part of Operation Habitat in Kurdistan. Chapter eight reviews the careers of Captain Tracey Connors, former RSM in the RAAMC and Brigadier Georgina Whelan AM, CSC a highly respected and accomplished General Service Officer currently serving with the Australian Defence Force. Brigadier Whelan has commanded health capabilities in Australia and East Timor and led the medical response to Operation Sumatra Assist, following the devastating Boxing Day tsunami in 2004. She is currently the most senior ranking woman in the Royal Australian Army Medical Corps (RAAMC). RSM Connors has had a four year affiliation with the Army’s elite Parachute Surgical Team (PST) and is an accomplished markswoman. The book closes with an epilogue by former Colonel Susan Neuhaus CSC, Associate Professor of Conflict Medicine at the University of Adelaide and a graduate of the university. Susan tells the story of her experiences as a doctor, a commander and a surgeon in Cambodia, Bougainville and Afghanistan. Awarded a Conspicuous Service Cross for her service, Susan’s story includes her reflections on the changing nature of modern military medicine, it also reflects on the achievements of the Australian Army’s medical women, as we approach the Anzac Centenary. Saturday 8th of November at the Healesville RSL, commencing at 6pm, followed by a BBQ on Sunday 9th, at 12am, place to be advised. The cost of the Casual Dinner is $60 pp. The cost of the BBQ is $10 pp. There shall be a door prize, raffles , fun and lots of new and old memories of your friends. 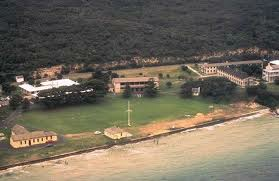 All other corps who were posted to or did a course at these an RAAMC units are also welcome along. More details of this events will be posted closer to the date. Direct deposits can be made at Westpac Bank to the Victorian RAAMC Association. Please add your initials and Reunion on the transfer e.g. your initials KS- Reunion. The account details are as follows, .BSB 033372 Account No 412242. Please advise me the day / date you deposited the monies via email to raamcvic@hotmail.com. All monies received shall be receipted and acknowledged. Cheque and money orders can be sent to Victorian RAAMC Association Co/ 2 Mistletoe close Knoxfield 3180.. More detail to follow. Please pay $35 ASAP as a 50% payment is required to secure your seat at the event Final or full payment will be accepted up to 1 Oct 2014. As some of our members work on rosters If you need a time extension let us know, we will attempt to accommodate you. Anyone who has photos that they wish to share can send them to me and I will show them on the night. Congratulations to Associate Professor John H Overton OAM RFD (COL Rtd ) founding member of the RAAMC Association. John was appointed Member of the Order of Australia(AM) in the 2014 Australia Day Honours List. Congratulations John from the Committee and all the members of the RAAMC Association. The Association congratulates all the recipients of awards in the 2014 Australia Day Honours List. Congratulations goes to our own ALAN RICHARD CURRY OAM, Alan was awarded the OAM for service to the community,particularly veterans and their families. Again Alan, on behalf of the Committee and Members of the RAAMC Association(Inc) Congratulations and well done. The above video is a promo for other videos taken at the RAAMC Banner Presentation celebrations. To view other videos of the celebrations, including the entire parade, dinner and speeches visit the RAAMC Associaton YouTube Channel. The Governor-General, Her Excellency Ms Quentin Bryce AC, presented a new Banner to Royal Australian Army Medical Corps (RAAMC) on 4 November 2011 in a ceremony at Enoggera. The new banner replaces the banner that the Duke of Edinburgh presented in 1974. After the death of the Queen Mother, the Governor-General of Australia became the Colonel-in-Chief. Governor-General Maj-Gen Michael Jeffery was the Colonel in Chief at this time. 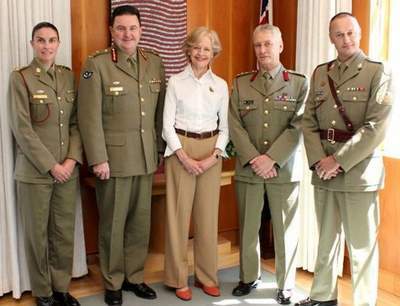 The current Governor-General, Her Excellency Ms Quentin Bryce AC, became the new Colonel-in-Chief of RAAMC last year. Members of the RAAMC Committee recently met with the Colonel in chief of the RAAMC, Her Excellency, the Governor General of Australia, Quentin Bryce, AC. Pictured from L to R CAPT Angela Dent (SO2 Health Services), MAJGEN Paul Alexander, (Surgeon General ADF and Head of Corps RAAMC), Her Excellency, Ms Quentin Bryce AC, (Colonel in Chief RAAMC), COL John Taske, and WO1 Angel de Santa-ana (RSM RAAMC).